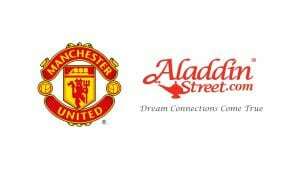 (NYSE:MANU) Manchester United and Aladdin Group, the owner and operator of the world’s first dedicated premium quality products and Halalan Toyyiban focused e-marketplace, have today announced a global partnership. As part of the partnership, Aladdin Group will work with Manchester United to generate brand awareness and compelling engagement projects with the club’s 659 million global followers, via the club’s digital platforms as well as one-to-one fan events and campaigns worldwide. Manchester United’s group managing director, Richard Arnold comments: “The way in which we shop has changed dramatically in the last decade and the growth in popularity of e-commerce gives customers access to a wide range of global products at the touch of a button. Aladdin Group’s co-founder and president, Dato’ Sri Desmond To comments: “It is a tremendous honour for the Aladdin Group to partner with Manchester United Football Club. Our goals and ambitions are closely aligned and will soon become visible to everyone in the very near future through our joint campaigns worldwide. “AladdinStreet.com will be rolling out its services globally in Q1/2017 by featuring products and services from Malaysia and Singapore in the initial stages with more coming on board from its network offices located in 30 countries worldwide in phase one, which covers a population of approximately four billion consumers. The Malaysian-based company prides itself on providing its customers with authentic Halalan Toyyiban compliant products sourced globally and delivered locally. Importantly, only fully registered and certified companies are invited by AladdinStreet to trade on the site. Aladdin Group caters to both Business-to-Business (B2B) and Business-to- Consumer (B2C) communities over the world-wide web and via its mobile apps, providing global business opportunities to local merchants and a seamless online shopping experience to consumers worldwide.